Styled with toby skirt and stedman wool coat . 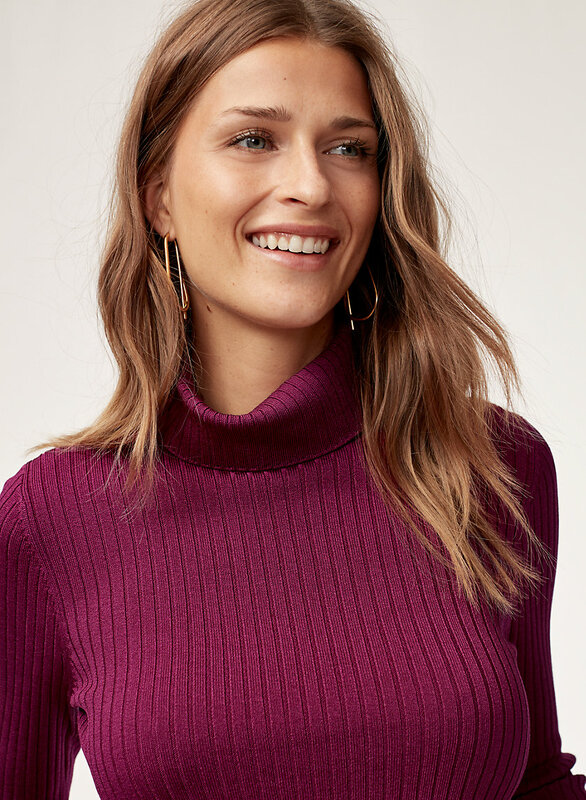 Cut from a sleek ribbed fabric with a hint of shine, the Zander gives you a sculpted silhouette and keeps its shape with wear. The color was really nice but material and fit were pretty shabby. Arms and torso were much too short, pretty see through and very rough feel. There's a lot nicer fabrics out there. The length was good, it sat right above my hips. 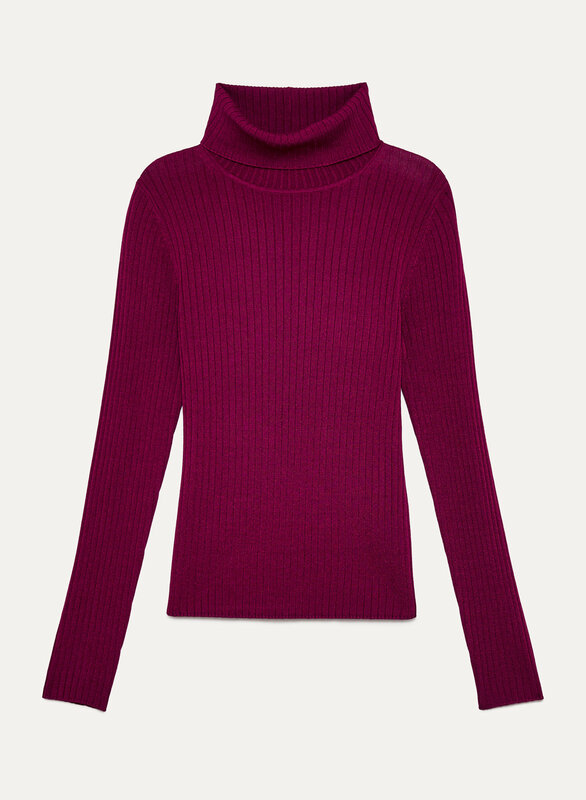 The material is very rough and scratchy, and the neck will slouch, so if you like a turtleneck that stands up straight, you will not like this top. It stretches around the bust until you can see my bra underneath. I have a 32" bust and 22-23" waist, so I did not expect the top to fit so tight around that area. I would say it does not look and feel the price it costs.